Well the fall is officially here and I am celebrating with the return of darker, richer nail colors. Yes you can certainly rock dark nails during the summer but I like to save certain shades to match my mood and the current season. 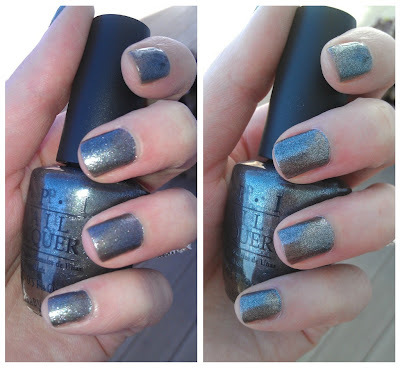 Today’s post is about a new favorite OPI shade and another OPI shade I was quite disappointed in. That doesn’t happen very often but I figured I should mention it when it does happen! First I will go over the bad news. I found a picture on Pinterest of OPI’s Espresso Yourself and thought it would be PERFECT for Fall! I loved the rich brown shade and of course the fine glitter. I couldn’t wait to get my hands on it! I ordered it from Amazon (which I’ve found is the more affordable way to buy OPI!) and tried it the day it arrived in the mail. I guess my biggest disappointment with this is that it is not glittery. It looks NOTHING like the photo above. I researched the OPI Espresso Yourself by looking up swatches via Google images and they all seemed to come up with this nice, sparkly look. Now don’t get me wrong I do think it’s beautiful but after all the other swatches I found that resembled the first picture (like here) I was surprised by the outcome. What can I say, I love my glitter! 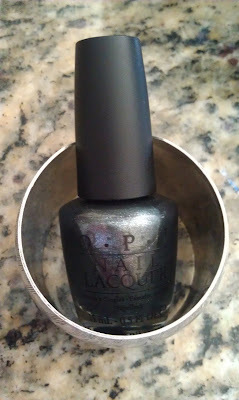 And now onto my happier purchase, OPI’s Lucerne-tainly Look Marvelous. 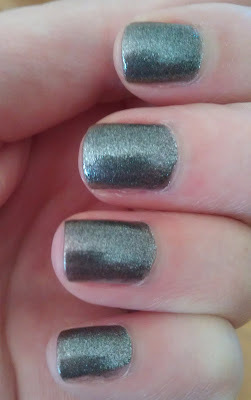 This shade is a lovely gunmetal-gray, glittery shade. On the left you’ll see the color with a the flash and on the right without. Espresso Yourself lacked glitter but Lucerne-tainly Look Marvelous MORE than made up for it! I suppose I should’ve known considering another favorite shade of mine, Glitzerland, is also from the OPI Swiss Collection and is packed with beautiful glitter. So do you have any new favorite nail shades you’ve tried for Fall? Or any that have been disappointments? Hi. I think this is such a cute blog, and what a cool idea to share a blog between three sisters. I saw this same pic on Pinterest, polish not identified, so I google image searched it to try and find the swatcher (I always prefer to find *sources* for any pictures I pin.) It led me to your blog, and I read your review. 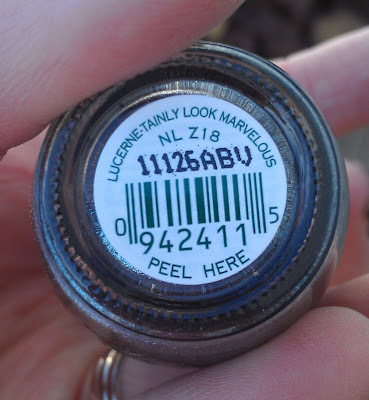 So I tried to find other swatches of OPI Espresso Yourself…and couldn't. But I did find a polish that might actually BE the gorgeous brown glitter in this picture. I think that's the one. Honestly, I can't seem to find an OPI called "Espresso Yourself". 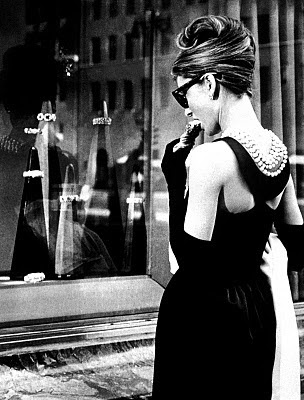 It looks to me like what you've got there is Espresso Your Style, which while a gorgeous brown, isn't that glitter. Woot! Found the source of the gorgeous pic and verified that it is, in fact, Holiday Glow. Oooo! I think I found the coveted sparkly shade…it looks like the sparkly, raisiny brown is actually OPI Holiday Glow!